Here's a super easy cupcake idea for birthday parties! 1. Bake and cool cupcakes. 3. 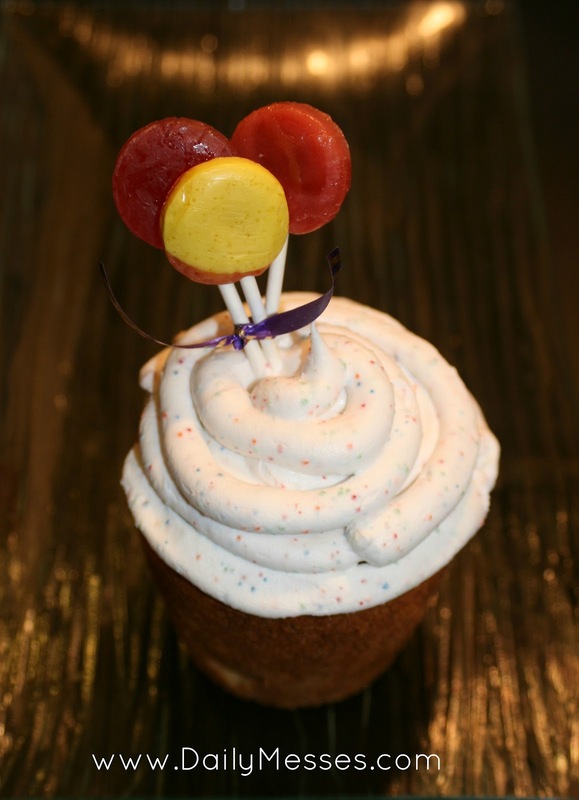 Tie 3 round lollipops together with the string and insert into the top of the cupcake. 4. Enjoy! These are super easy to do, but the kids love them!